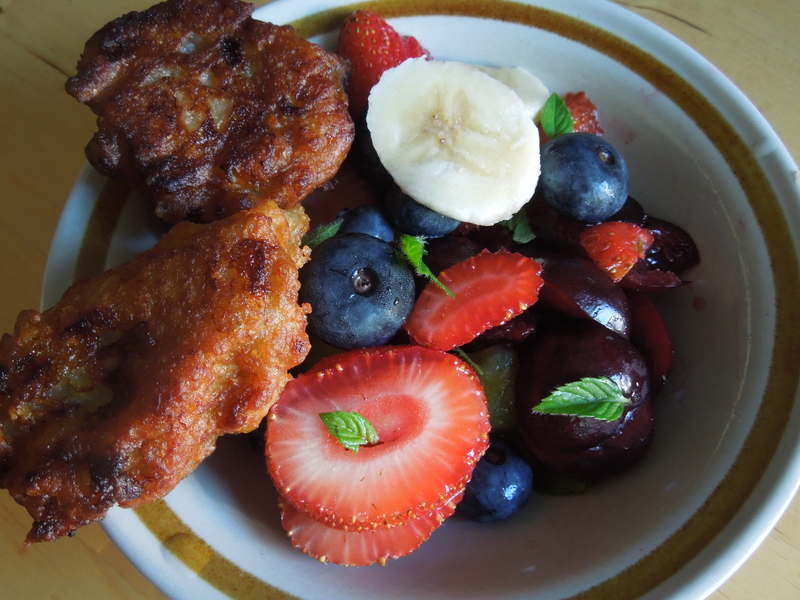 Banana Fritters is such a comfort desert for me. It is easy to make and DELICIOUS. What fried thing is not? 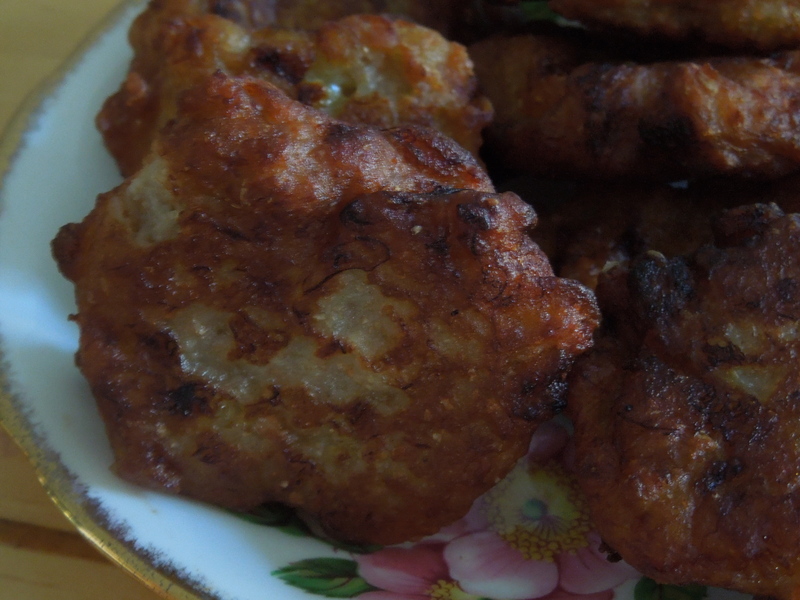 These fritters also bring back many memories of going to night markets in Malaysia where you can get all types of snacks and meals in abundance. The fritters that I make have very little flour to banana ratio, unlike the ones that I have bought in the past, where you taste very little banana. Since bananas are so sweet, I do not add any additional sugar. I also use whole wheat flour instead of plain flour. No sugar and whole wheat flour, might make you think these fritters could not taste good, but on the contrary they really do. The problem I have is not being able to stop at 4. 2. Mix the flour and bananas together. If you like a thicker consistency, add more flour. 3. When the oil is hot, scoop a huge spoon of the batter into the oil. You can make your fritters as big or as small as you like. However, it will cook faster if they are on the small side. Fry till golden brown on each side. About 4 minutes each side. 4. Remove from oil and lay on a piece of paper towel, to absorb access oil.